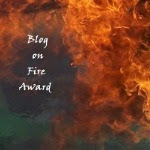 I hardly ever talk about my writing on this blog. Maybe it's because I'm bad at promotion. We know it's not because I'm too shy to tell you each and every detail of my life (see posts 1-300). Maybe, I don't know, it's because I can't get over the notion that writing is meant to be read and I want my readers to enjoy all the words I produce. Is the slow arduous process of writing a book, blog post worthy? Today it's going to have to be because that's what's holding first position in my head. The Persephone Campbell Series: Losing Beauty and Losing Hope are still alive, kicking and selling at a normal small publishing rate. Will I write the third book in the series? I'd really like to think so. Do I have a self-imposed deadline? No, not really. Although I should probably commit to at least thinking about one. The Virtual Life of Maisy Parker is off with Agent Emily. I have my fingers crossed for good news on that front. If you have an extra set of fingers to cross or good juju to send my way I'll be forever grateful. It's such a good book. Really, really good book. I fall in love with it all over again each and every time I dive back in. I have my sights set on a big six publisher this time around. On the one hand, that's exciting. Sort of like dating someone new with all the accompanying nail-biting anxiety and self-analysis (Will they like me? I mean really, really like me or just kinda, you know, sorta like me?) And by me, I mean the book, which is crazy, I know. But remember, writer here! No problem with playing the crazy card. On the other hand, it's frustrating because I'm so in love with this book. I want you all to read it. Pronto! As in yesterday!! But you can't and won't be able to for at least another year. Assuming it sells today or tomorrow or even next week, which could happen if someone really, really likes me...I mean my book! Which leads me to how I'm currently spending my days. Do I like it as much as the last one? Are the characters too crazy? I mean, some of them are sociopaths so they have to be crazy, but is that the kind of thing people want to read? Is the plot too slow? In the alternative, is the plot too fast, not as developed as it should be? What if I run out of things to say? Okay, you all know I was kidding with that last one, right? What about you? 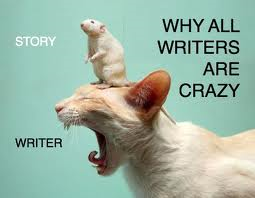 What are you working on and does your current project ever infuse you with the need to play your writer crazy card? Labels: Writer crazy cards. We all have them. Some people just hide theirs in those big oversized purses. Or underneath their cats. Crazy. Writing. Life. My first book is currently at an indie publisher being edited. While I'm waiting, I'm writing as well. Rewriting, in fact. Another story that I think is awesome, but for some reason, I can't seem to add words to it. Driving me batty. My hardest thing right now is having too many things going at once. I'm a one thing at a time person, generally. When I try to do some brainstorming for two projects, it leave my brain fuddled and I can't work on either. Hey, live the dream, eh? I'm editing my sequel in the time I can siphon away from book 1's release. So much to do, so much to do! Time to go consult the scientists locked in my basement and see if that time-stopper is complete. Not being on a deadline is a good thing. Enjoy it. 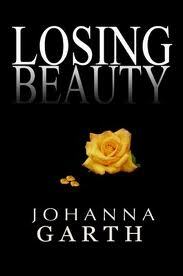 Love your cover Johanna. I too am waiting for word from Emily about my big historical novel. Unfortunately I had two passes already -one from Random House and another one of the big six. All had glowing things to say but ultimately said no! Two down, five to go. It's such a long wait!! In the meantime I still have my indie books otherwise I'd go crazy. I'm in between projects, although I have one I want to start. Johanna, was your birthday yesterday? It's so hard when you've got projects at different stages because you have all the anxiety doubled or tripled! I'm in the middle of deciding which of three projects I should focus on. I think I'll be forced to eeny-meeny-miney-mo soon :-) Good luck with the agent's search for a Big Six! I think having multiple writing projects going on is the only way to survive - keeps us from obsessing too much over any one of them. All those questions you have about your current WIP don't usually hit me until round 2 - and then they attack full force! Yay for your books! You should talk more about them. I'm waiting for my MS to come back from my editor. Then I hope to get it edited, formatted, and out w/in 2-3 weeks. Insane, right? Been plotting a new series. Might be close to being able to start on it. We get crazy cards?? I mean, oh, yeah, I knew that. I think some craziness, humor, and whatnot would not go amiss in my WIP. I tend to be way too serious. Grim even. Though I love dark humor. Stop biting your nails while you wait. Congrats on the good sales, and best, best, best of luck with the new book in the agent's hands. Get your mind off of it by starting the 3rd book. Am I being bossy today? :) Happy writing. Meanderings and self-doubt... Yes, but look what they've produced! Enjoy it! Starting a new story, even one in an established series, is rather like trying to climb a gravel-covered slope barefoot. It's fun, though, to feel things get momentum. I liked reading about your writing. You should do it more often. It's not a bad thing, really! We just finished our latest and it's going out next week. And like a mother bird letting its baby fly for the first time, we hope it soars... and doesn't just awkwardly splat on the pavement. Oh, fingers crossed for you and good luck! That waiting is such a stressful thing! Hate having it out of my hands! If there's anything else we can do, shout! That's awesome about your books, especially that you're in love with them. It's always good to love your writing, because then it's more fun to work on it. As far as the writer crazy card, I think that my own mindset often gets transferred to my own characters. That is, if I'm particularly stressed one day, then so is my main character, who also starts obsessing over everything. Misha, I'm sure you'll get through the block! Aww thanks Elise! I really do love it. Donna, I'm the same way. One world at a time. Crystal, LOL, let me know what they say. Alex, oops. You need to be able to type!! Nicki, love the writing, hate the questions. Mary, very cool. Good luck with the new series. Jan, very bossy, but that's okay. I like bossy! Diana, so true. None of us would do it if it wasn't so much fun. Beer, me too. NO Awkward Splatting!! Hi Johanna, it sounds like you love what you do. And when you love what you do, you are good at it. Best of luck with your books and with the latest The Virtual Life of Maisy Parker! You know I'm a fan. I'm excited about your Maisy Parker book. I loved the Persephone series. Good luck! Ooh, fingers crossed for you! :) I can't wait to hear more about it! Best of luck with subs. I understand the crazies with the writing, but then I'm a writer myself:) I've been swamped in crazy revision-land for so long, I can't fathom starting a new story...but I hope to next month. Yikes!